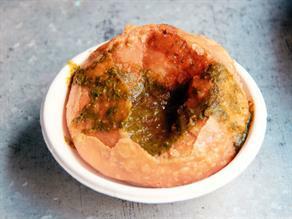 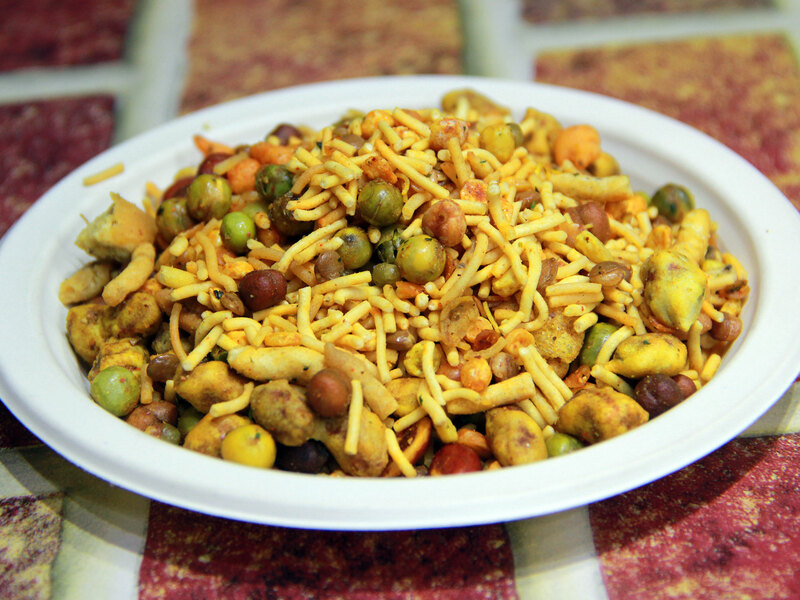 Seasoning with Chaat Masala and jeerawan (assortment of several spices) renders a distinct taste to the spicy Mixture Namkeen served at Pradhanji Namkeen ki Dukan. 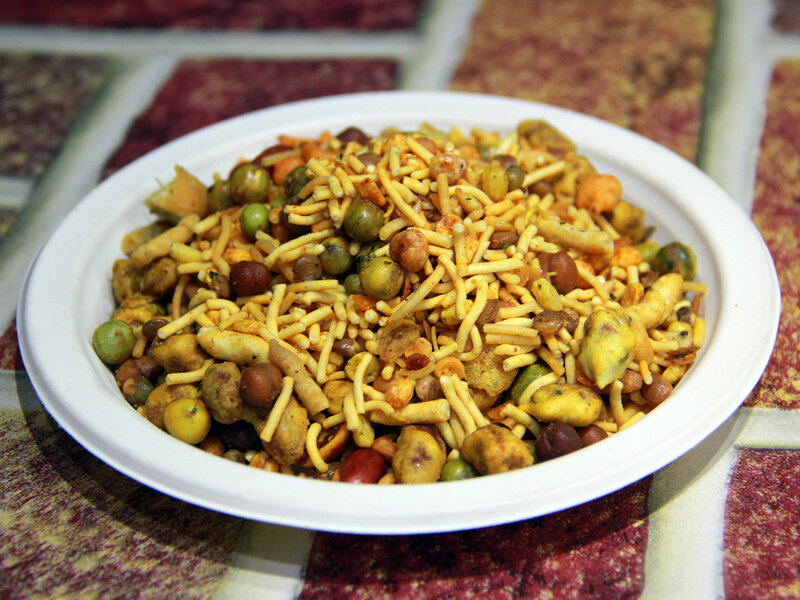 The Mixed Namkeen prepared by combing a variety of fried items, like- Chane ki Daal (split gram), peanuts (plain gram flour coated fritters), chickpeas (Kabuli Chane), green peas, red lentil (Masoor Daal), Ratlami Sev, Laung Sev (with black pepper), thin-sized Namkeen Sev etc. 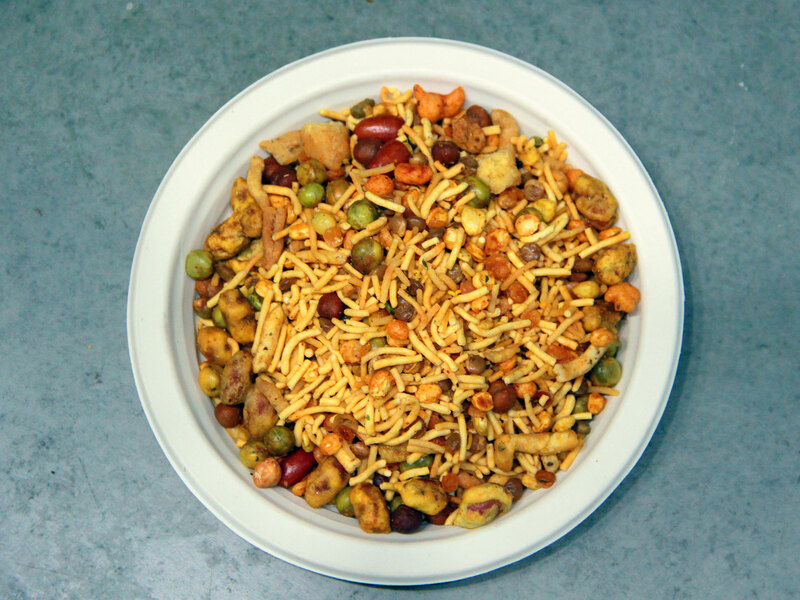 seasoned with Chaat Masala and Jeerawan (assortment of several spices) etc. 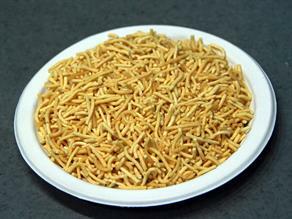 is a crunchy and spicy snack relish as such or accompaniment of regular meals. 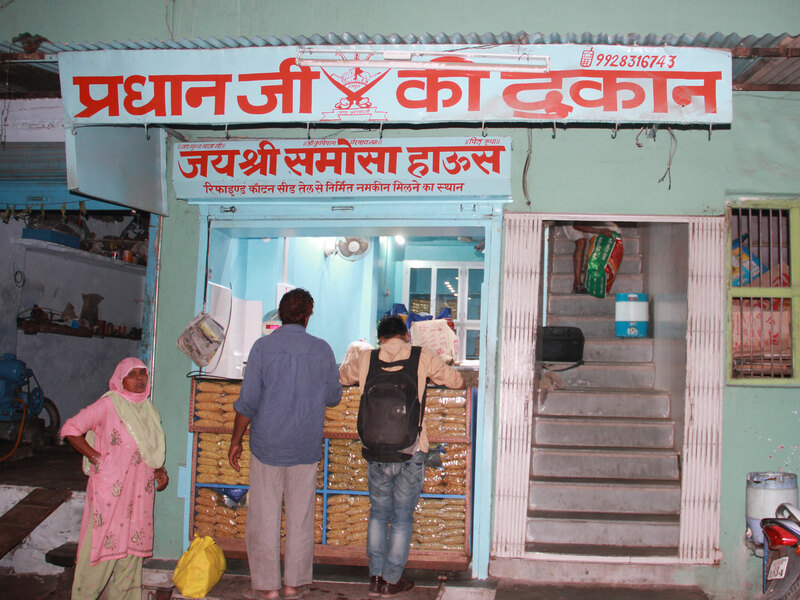 The taste is available from 07:00 a.m. to 09:30 p.m. 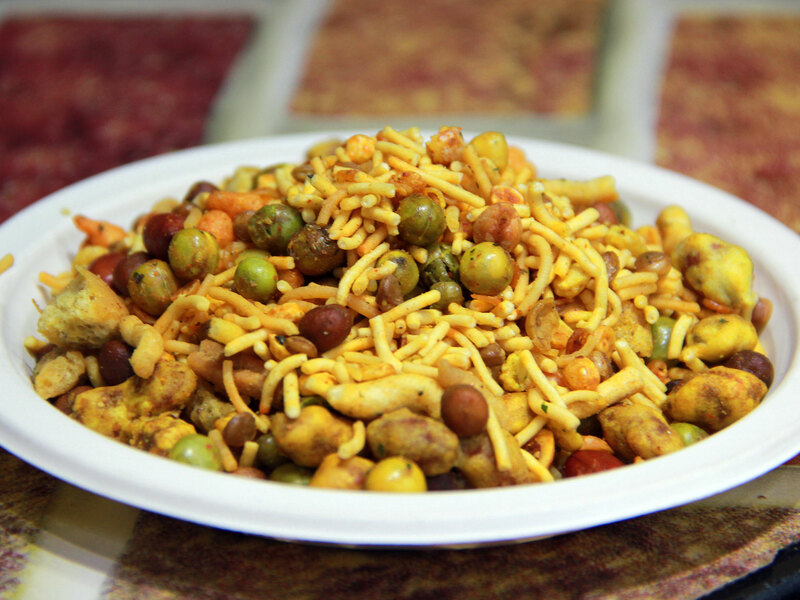 The five decades old Pradhanji ki Dukan is renowned to delight its customers with a variety of spicy and crunchy Namkeen Sev prepared with cotton seed oil at very reasonable in a well-organized setting.